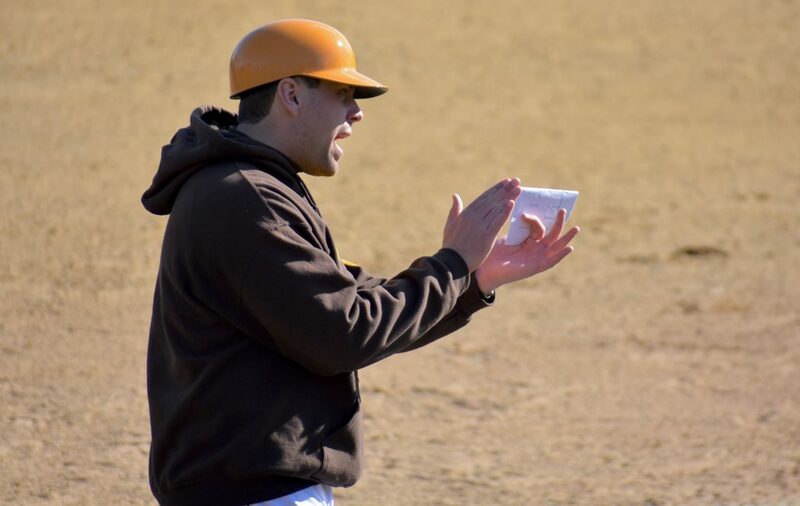 Delran alum Jim Goodwin has what it takes to jump into his new role as just the second head coach in the history of the Bears baseball program. Jim Goodwin is just the second head baseball coach in the history of Delran High School, fulfilling a goal he had in middle school. The first-year coach will take the field at his alma mater for the first time in his new post this Saturday, when Cinnaminson visits Delran. (RYAN LAWRENCE, South Jersey Sports Weekly). There’s a certain pageantry to the first game of a baseball season. Whether it’s the extra people in the bleachers, or the patriotic bunting hung with care, or the brand new, clean uniforms sparkling under the spring sun, Opening Day feels like a holiday for baseball players and fans alike. Jim Goodwin is no different. 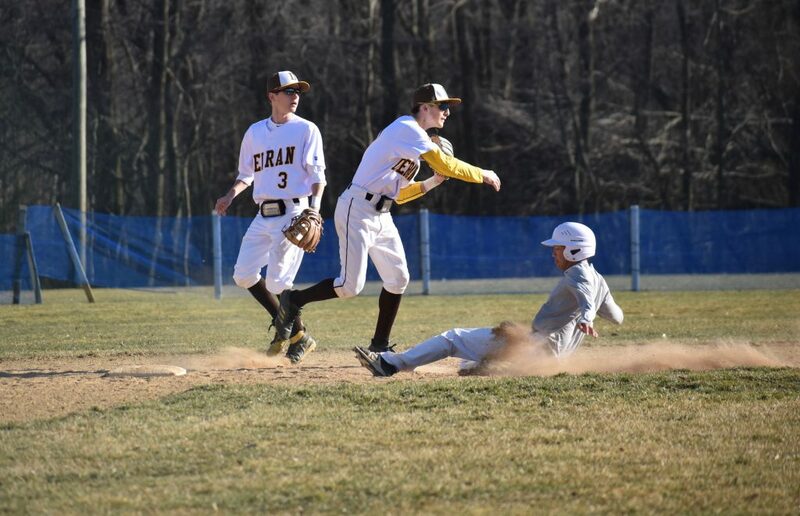 But when he walks out to the third base coaching box on Saturday at Delran High School, for the Bears first home game of 2019, the normal butterflies anyone gets with the start of the season will be a little more active in his stomach. Goodwin, for one, is replacing a Delran sports icon. He’s also fulfilling a boyhood dream. Goodwin guesses he was 12- or 13-years-old at the time of that conversation. 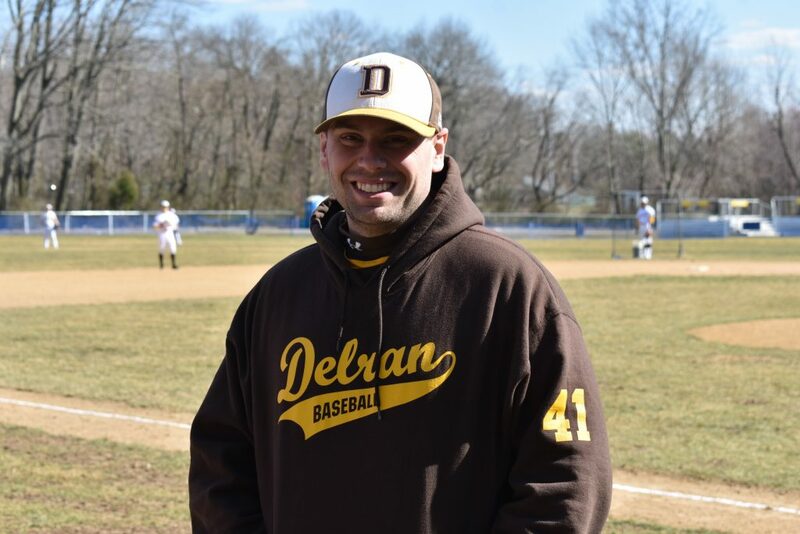 He’s now 27 and he’s also just what he said he would be: the second head baseball coach in the history of Delran High School. Goodwin took over just before the start of preseason practice this winter when Rich Bender retired after 43 seasons at the helm. 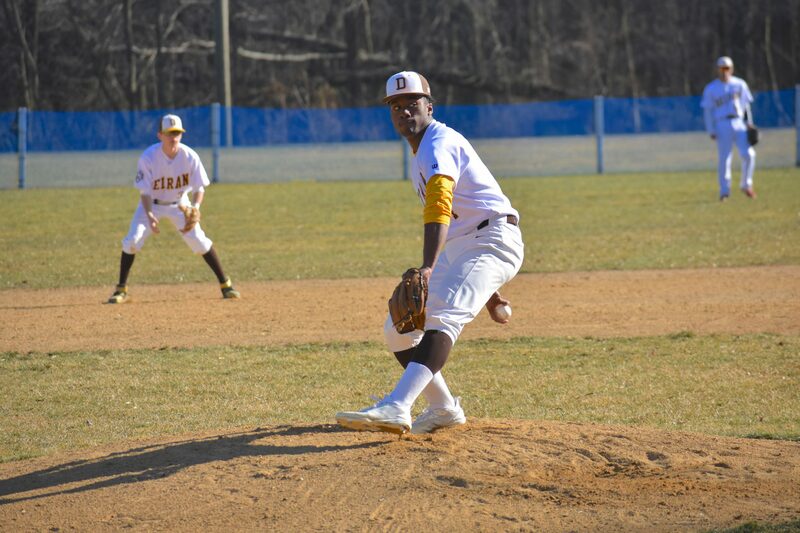 Goodwin, a former pitcher with Delran who also went to play collegiately at Burlington County College, Chestnut Hill College, and Rutgers-Camden, is a lifelong Delran resident. He understands the importance of the baseball program and he plans on keeping the Bears among the perennial contenders in South Jersey. Goodwin also knows he has some pretty big spikes to fill. Bender retired at the end of January with a South Jersey-record 672 wins. His teams made the playoffs in 41 of his 43 seasons as head coach. Bender guided the Bears to five sectional titles and two state championships (1983 and 1995). The ‘95 Delran team finished No. 1 in the state and No. 9 in the country. Bender’s career spanned five decades: the ‘70s, ‘80s, ‘90s, ‘00s, and ‘10s. It would be unwise for anyone, anywhere to try to live up to that legacy. But being aware of it may be just as important as Goodwin begins his own head coaching career with Delran. Goodwin has something important to take with him into the 2019 season: the blessing of his coaching role model and predecessor. The transition will be easier, as they are in any sport, if the team wins. Goodwin is bullish about the Bears’ chances for success this spring, despite losing two-thirds of the team’s pitching from last season. He’s leaning on senior veteran shortstop Alex Madera and junior pitcher and center fielder R.J. Moten for leadership and consistency. But having the benefit of working directly under Bender, and being one of the 24 father-son combinations that played under the long-time Bears coach, Goodwin is also well aware of how a successful baseball program is run on a day-to-day basis. Now all he has to do is fill out his first lineup card, meet the umpires at home plate, and trot out to the third base coaching box.